Info: The Elements for iPad HD, iPod touch/iPhone 4. Also available in French for the iPad. Cost: Cost varies by device, see links above. Quick overview: To some students, the periodic table may appear to be just a bunch of confusing letters without any meaning. This app helps students make a connection (through sight and touch) between everyday objects and the elements they are comprised of. How does it work? 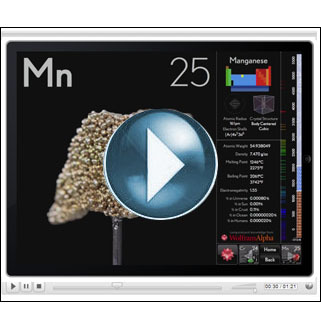 Elements on the periodic table are represented by beautifully detailed 3D animated models that the students can touch and rotate. Students click on an element to bring up a brief description of the element along with an interesting anecdote or out of the ordinary fact about its history… even the most jaded students will want to keep reading! How can it be used in the classroom? I think this app is great for self directed learning. If you are teaching in an individualized classroom, provide a student with an iPad and ask them to explore the elements on their on own. You can ask them to focus on one element and create a presentation about something new they’ve learned. For students wanting more detailed scientific information about any element, they can access the Wolfram Alpha website directly from within this app. This is currently one of my favorite reference apps for the iPad. Did I mention it’s ridiculously easy to use too? A must see! This entry was posted in Tools and Apps and tagged apps, ipad, periodic table, Science, table of elements, the elments, theodore gray. Bookmark the permalink. « ICT Tip: Wolfram Alpha is a lot more than a search engine!